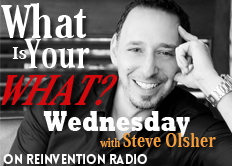 Steve and the Reinvention Radio Crew discuss the #metoo movement. There is definitely something to be said for what happens to you in your life and how that either propels you forward, and you use that as fuel to push you forward toward what it is that you’re naturally wired to excel at… water that extinguishes the fire. The choice is yours. How do you respond to what happens in your life?